At the end of the lesson, I wanted to illustrate that you can’t always rely on your own judgement in determining whether something is solid or not. And what better way to make that point than with non-Newtonian fluids? So, in addition to the lesson manual and my scriptures, I packed up a pan, a large spoon, a measuring cup, and a Ziploc bag full of cornstarch, and headed to church. A few of the kids asked if they could feel the cornstarch, but I knew that if I let them stick their fingers in the bag we’d end up with cornstarch everywhere, so I told them they could come up and feel the bag if they wanted to. The Ziploc bag, the opening of which was aimed straight at my face, exploded. 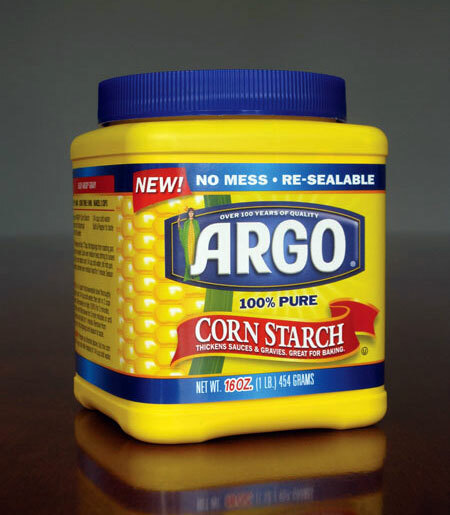 It was like she’d pulled the pin on a cornstarch grenade. I waited for a few seconds for the dust to clear, but then I realized that the reason I couldn’t see anything was that the lenses of my glasses were covered with cornstarch. I took off my glasses (revealing a perfect outline of where they had been), looked down, and realized that there wasn’t an inch of me that wasn’t covered with cornstarch. Just then, the two boys who had left to fill the measuring cup with water opened the door to the classroom. I turned, and the boys, being greeted by a large powdered ghost and the hysterical shrieks of a dozen laughing kids, nearly dropped the measuring cup and ran. Chaos ensued. But by the end of class, we managed to get things cleaned up (somewhat) and we were able to recover enough cornstarch from my clothes for a slightly scaled-down version of the original experiment.